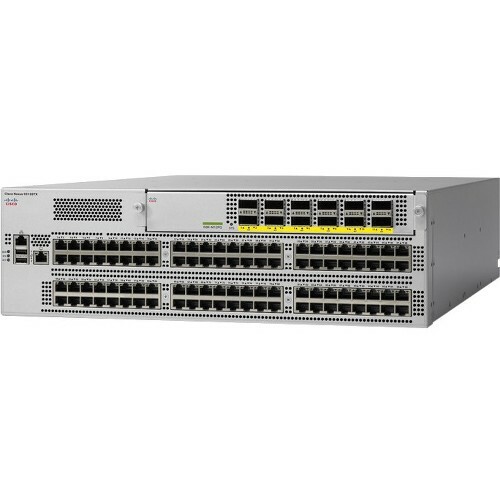 The Cisco Nexus 9348GC-FXP Switch is a 1RU switch that supports 696 Gbps of bandwidth and over 250 mpps. 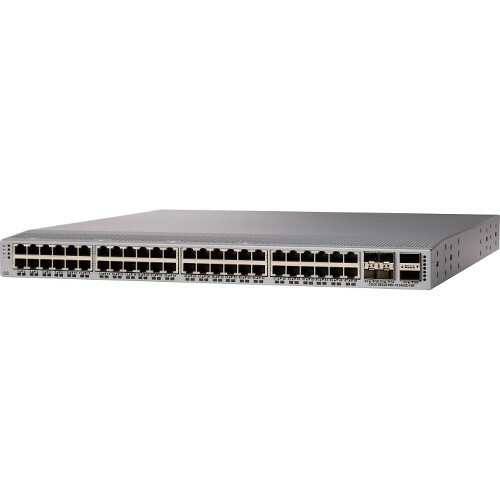 The 48 1GBASE-T downlink ports on the 9348GC-FXP can be configured to work as 100-Mbps, 1-Gbps ports. The 4 ports of SFP28 can be configured as 10/25-Gbps and the 2 ports of QSFP28 can be configured as 40- and 100-Gbps ports. 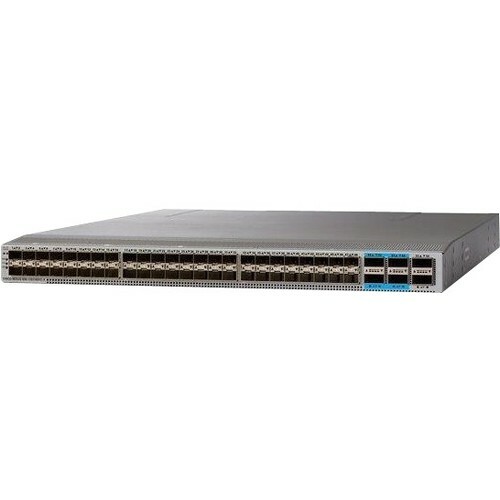 The Cisco Nexus 9348GC-FXP is ideal for big data customers that require a Gigabit Ethernet ToR switch with local switching.